Each Thursday, I will be reposting our lessons from last year. If you want to follow along with us, we’d love to have you! 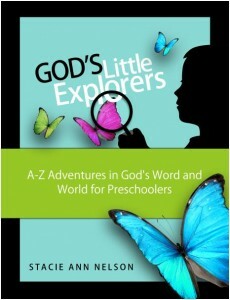 Considering purchasing the complete download of God’s Little Explorers? You can find out the top 10 differences between the weekly free preschool lesson plans and the complete download here. Welcome! Here are this week’s lesson plans. You can find the printable plans at the bottom of the post. If you’d like to know more about God’s Little Explorers Preschool Curriculum, head over here. Please feel free to share your ideas in the comments or send me an email! Also, if you find any errors, please feel free to let me know. This is a work-in-progress!! We HAD to set up a tent for a camping theme!! We poked holes in a styrofoam cup with corn holders. At first I made the shape of a t (our letter of the week), shone a flashlight through the cup in a darkened room, and had the girls look for the t on the ceiling. It worked decently well, but they were more interested in poking holes in the cup and making “stars” on the ceiling. We didn’t get to do this in our tent at night, but I think that would be fun! Before I read the story of Abraham (from our Read and Learn Bible) to the girls, we set-up our own “campsite” – complete with a box tent, backpacks and bags filled with food and water, a blanket, and stuffed animals. I would stop every so often during the story and have us move and set up camp at a new site. After the fourth or fifth move, it got a little tiring!! We talked quite a bit about it, so I do think it helped them get a *small* idea of how Abraham trusted God and followed wherever He said to go – even though Abraham had no idea where God was leading him! We went on a nature walk and rearranged some of the elements to form nature art (like Andy Goldsworthy). I cut apart a pipe cleaner and my daughter glued it onto the letter t printable in the download. We cut it out and added it to our wall with all the other alphabet letters. This was a longer project. First, the girls painted “stars” with marshmallows on toothpicks…. Then, after it dried, they glued on craft sticks to form a tent frame. Then, they cut-out the triangle (included in the download), cut up the middle line (so the tent can open), and glued just the top sides down. One of my daughter’s drew Abraham and glued him inside. The other drew the letter t and stuck it inside. While we were making this project, we talked about how God promised Abraham’s descendants would be as numerous as the stars (Genesis 22:17). For this busy bag activity, we took two pieces of black paper and cut them into sixths (twelve rectangles all together). Then, my daughter traced the numbers from the download and glued them on one side of the rectangle. I used various puzzle-type cuts (making each number different). Then, we used our marshmallows again to paint the corresponding number of dots. To use the busy bag, I had my daughter match the correct number of dots with the written number. An easier way to do this would be to use star stickers instead of painting. The girls were a little tired of making marshmallow stars by the end of the two projects! You may also want to consider laminating these (if you want to have your child use them more than a few times) and storing them in a plastic baggy. Another of our busy bags was this Melissa & Doug See and Spell. I’m sure you could easily make up some cards with words and have your child put letter tiles to match them if you wanted a frugal option. One of our daughter’s got this as a gift, and it’s been a nice quiet time activity! Our final project was a service project. We made these S’mores Kits to give to the girls’ soccer coaches and teachers at church this weekend! Find more recommended resources here. Download God’s Little Explorers Week 5. Want to be sure you get the printable lesson plan each week? Consider signing up for my Motherhood on a Dime complete daily email with coupons, deals, recipes, kids’ activities and more. If you’d rather receive just my KIDS newsletter with 3-4 kid-friendly posts each week via email, subscribe here. P.S. You don’t have to subscribe to both! If you sign up for the complete email, you’ll get the kids’ activities, too. I love how you made the girls pack up and move the campsite every so often in the story! Great idea to stick it into their heads!!! 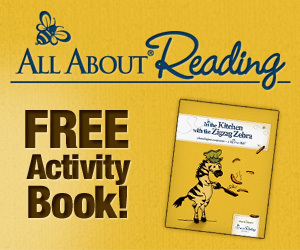 I can’t find the free printables after z is for zoo. Are they not available free after that?? Unfortunately the person making them became ill and was unable to finish them, so there are just a few packs finished.